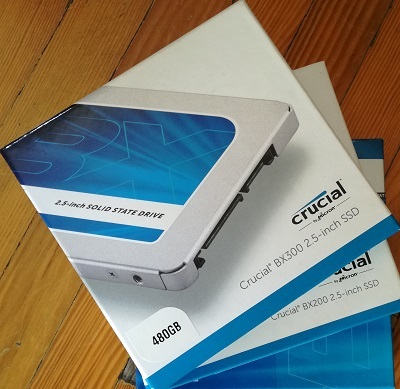 Crucial BX300 SSD review – The value for money option? SSD, a drive that was affordable and at the same time had zero compromises in build quality, and most importantly in its performance. After a few months came the BX200 SSD. It was the first TLC SSD from Crucial, and continued to be an affordable replacement for your HDD, but the TLC NAND was the limiting factor for write performance. 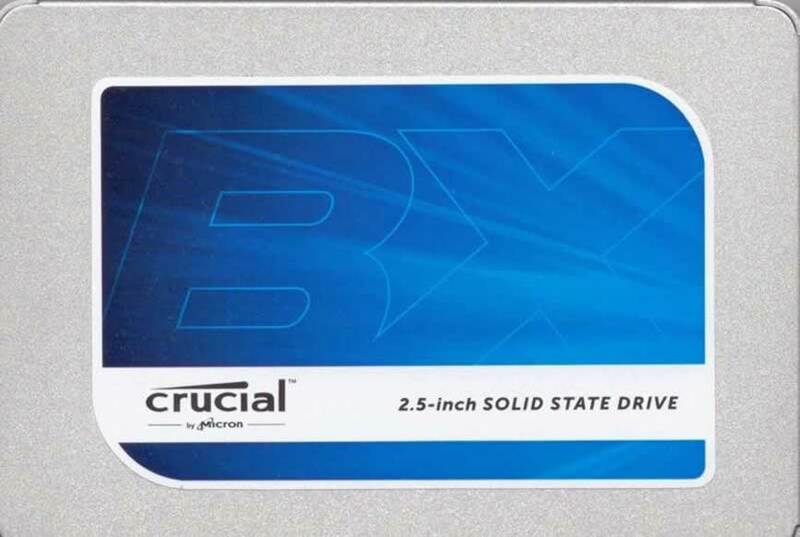 Now Crucial has released the BX300 SSD, an SATA 2.5″ drive that it comes in three capacities, 120GB, 240GB, and 480GB. 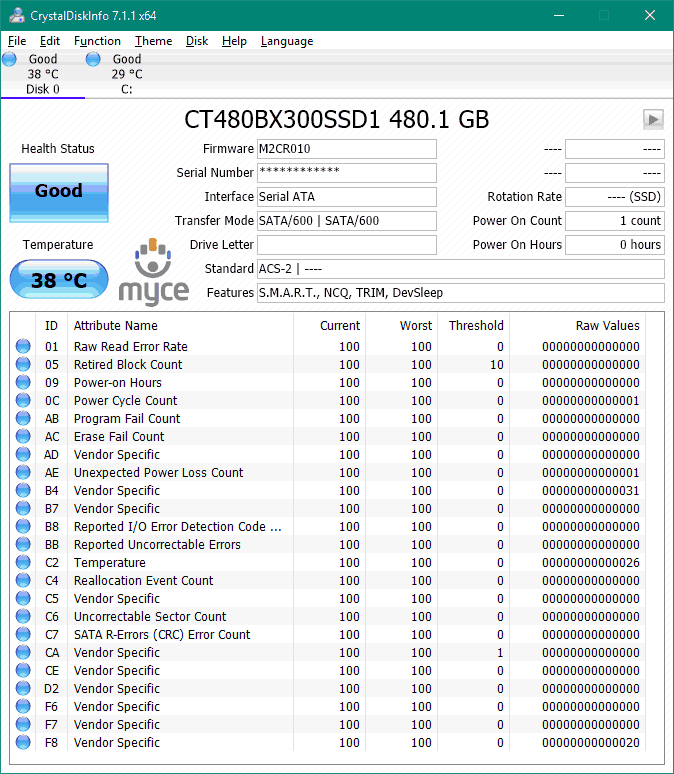 At the moment it is only available as a 2.5″ SATA drive, but that is not what’s impressive. 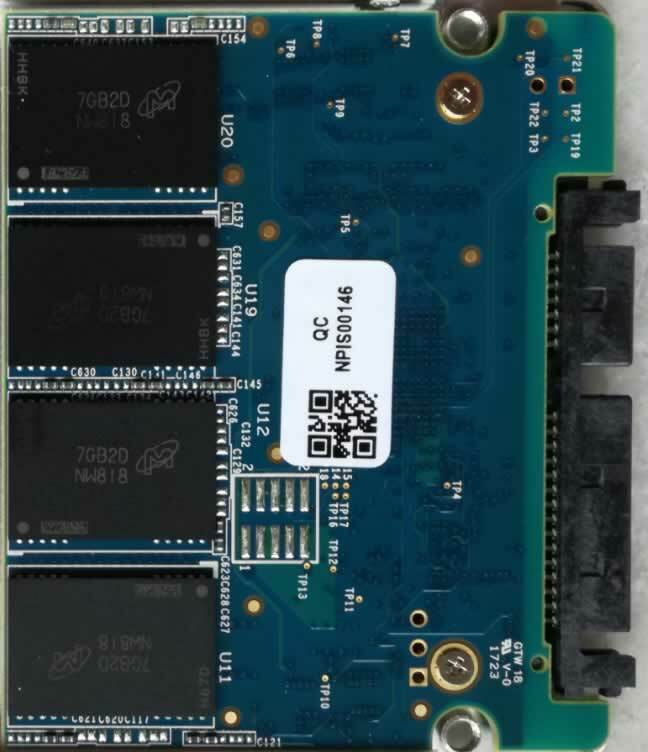 The new 3D MLC NAND is the part that got me excited, and hopefully it will bring back the glory days of the BX100 SSD, both for performance and pricing. So let’s move on and start this review by taking a look at the packaging and its contents, followed by some benchmarks. As always I will start by taking a look at the package and the contents that are included with the Crucial BX300 480GB SSD. 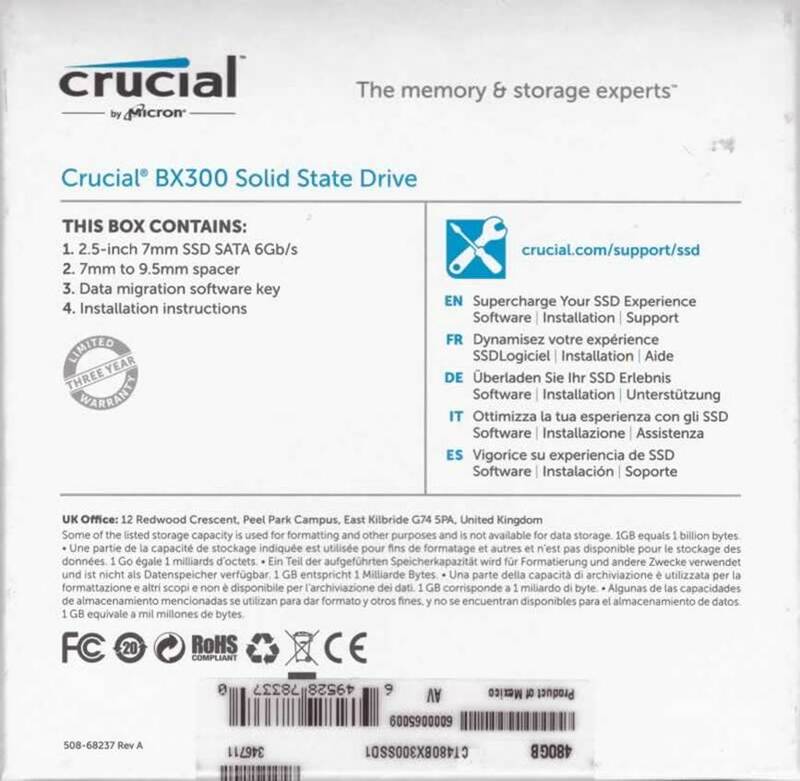 Also the rear of the Crucial BX300 SSD box. 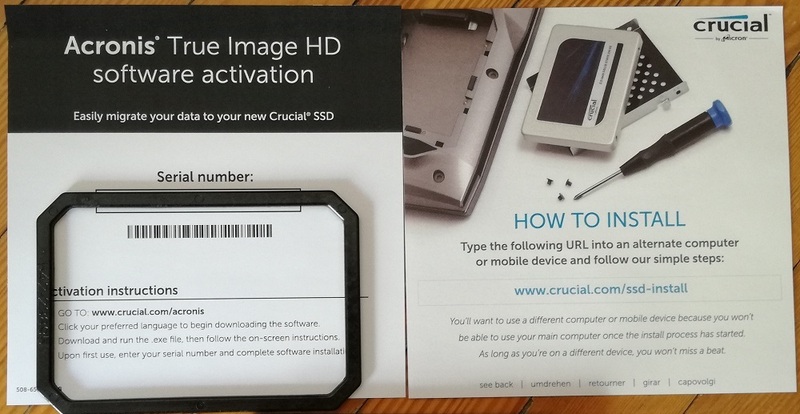 Inside the box we find the usual card that has the serial for the Acronis True Image HD software, a 7mm to 9.2mm spacer, and also a small manual on how to install your SSD. 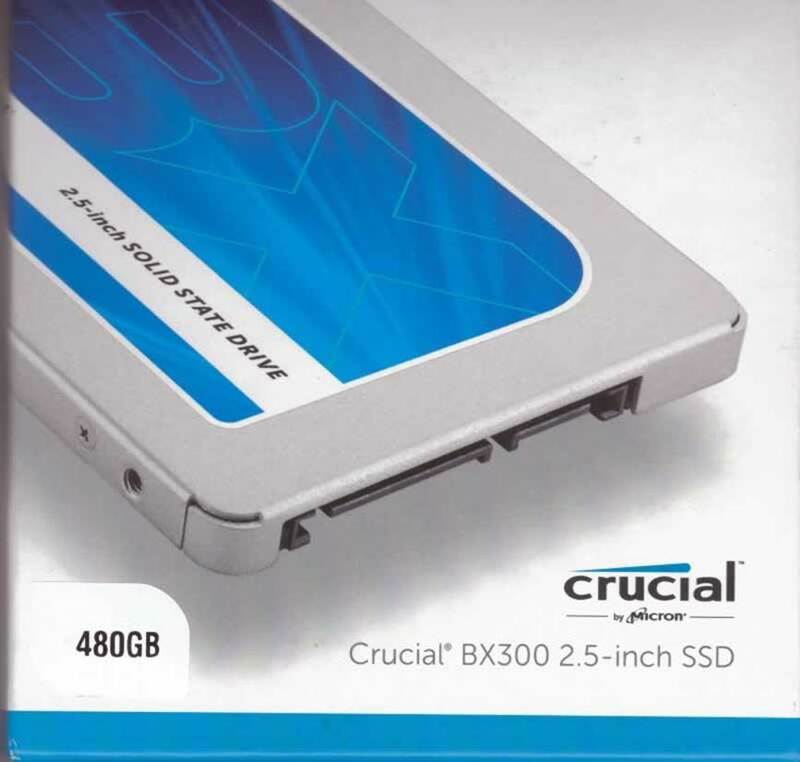 The front of the Crucial BX300 480GB SSD. 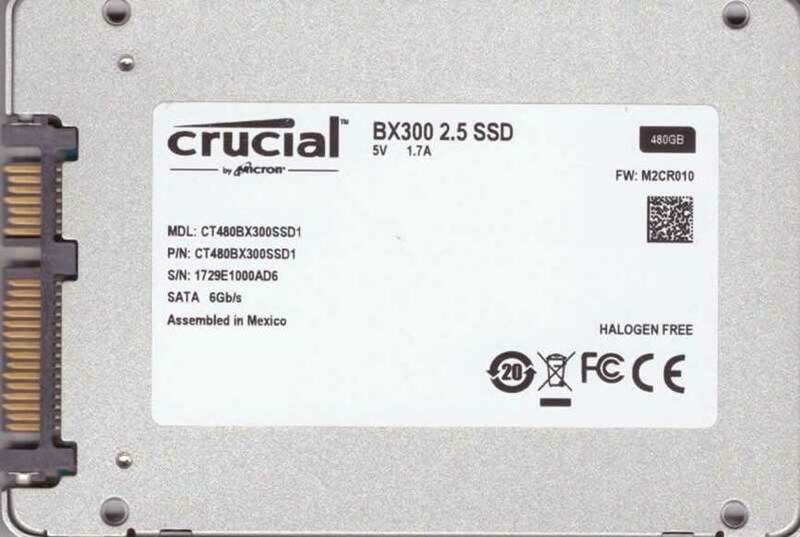 Here is the rear of the Crucial BX300 480GB SSD. 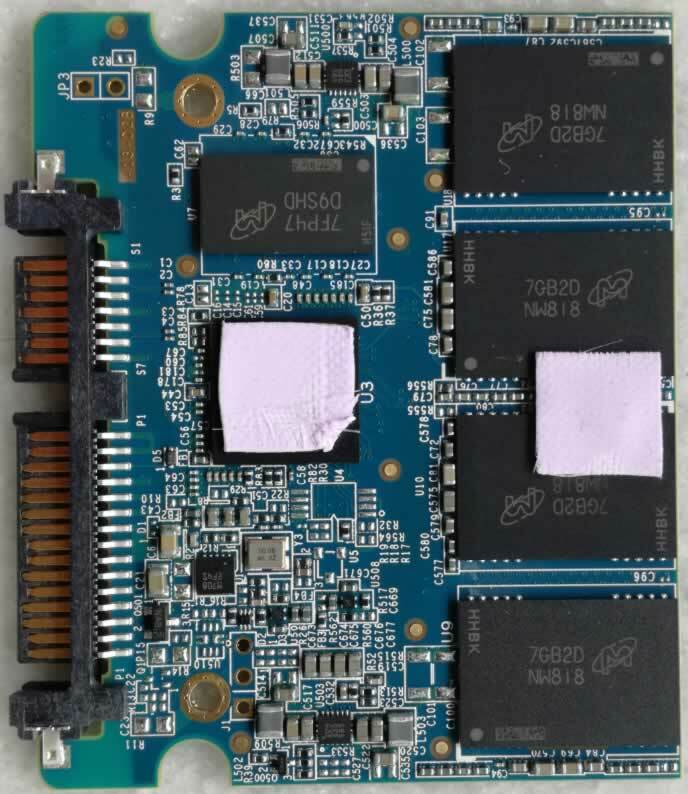 Here is a look inside the Crucial BX300 480GB SSD, and on this side we can see the four Micron 3D MLC NAND chips, the Silicon Motion SM2258 controller, covered with the thermal pad, and the DDRAM. On the other side of the PCB we find another set of four micron 3D MLC NAND. We can see that the Crucial BX300 comes with a three year warranty, and a copy of Acronis true image. The Crucial BX300 SSD has a maximum read speed of 555MB/Sec, and 510MB/Sec when it comes to write speed. The drive is also available in sizes of 120GB and 240GB. Pricing for the 120GB SSD starts at €62, the 240GB drive is available for €92, and the drive that I will be reviewing (the 480GB) for €150. All prices are based on the ones that can be found on the crucial.eu website. As always those prices are here for reference purposes so expect them to change over time. 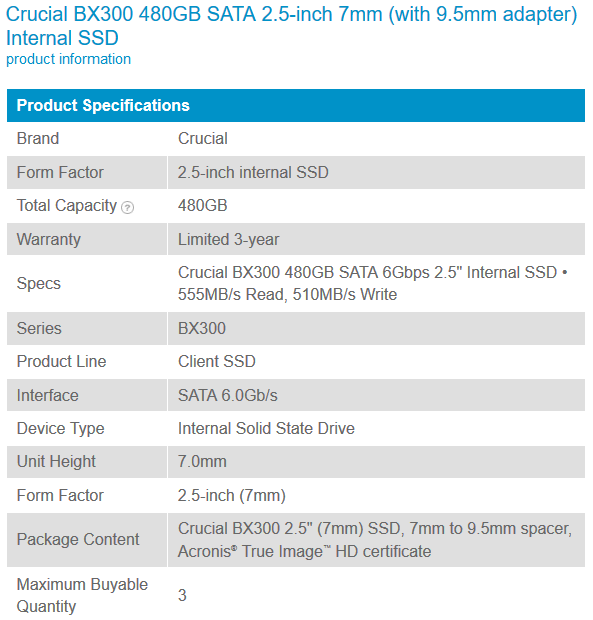 In the above screenshot we can see all the available info for the Crucial BX300 480GB SSD. Ultra HD Blu-ray copy software DeUHD: does it really work and does it crack AACS 2.0?